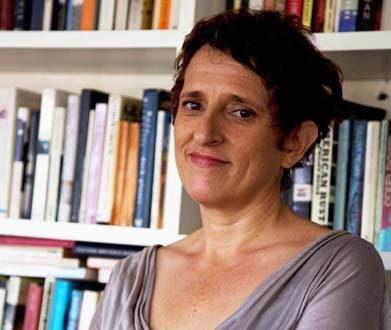 Charlotte Wood is an Australian novelist whose fourth novel, Animal People, set in inner-urban Sydney, was longlisted for the Miles Franklin Literary Award this year. It featured a character who had featured in her previous novel, The Children, which centres on a family in an Australian country town whose adult siblings return home after a serious accident befalls their father. Charlotte is also the editor of the fiction anthology Brothers and Sisters (featuring Christos Tsiolkas, Cate Kennedy, Tony Birch and others) and most recently, Love and Hunger, a meditation on the pleasures of simple food, well made. The Wheeler Centre’s Jo Case spoke to her about Australian writing and identity, and how national identity is reflected in our literature, in subtler and more meaningful ways than the clichés suggest. Do you identify as an Australian writer? I don’t especially, but I’m often told that I am a particularly Australian writer. I think it’s more a result than from intent; particularly in my last couple of novels (The Children and Animal People), I’ve written about what I’ve seen around me in contemporary Australia. I think perhaps it’s something akin to having an Australian accent – something you can’t help - rather than a conscious thing. So, it’s not that you’re setting out to be a particular kind of Australian, or that you think of yourself as an Australian writer? I don’t even know what makes a writer Australian, apart from working here – but even that is debatable when you think about Peter Carey or Shirley Hazzard. I remember hearing a Canadian publisher at one of our writers’ festivals say, ‘If I’m going to publish an Australian novel, it’s got to be really Australian. It’s got to be identifiably Australian, otherwise why don’t I just publish a Canadian novel?’ And I thought, well how would you know what’s ‘really Australian’? And perhaps you might publish it because it’s interesting. But I think what she was trying to say, basically, was ‘be more like Tim Winton’. I can see why readers abroad might pick him as especially Australian, given the settings for much of his work, but it’s a bit depressing if that’s all they see. 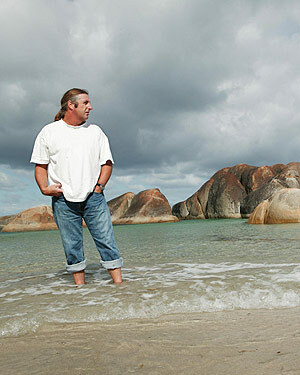 He writes very beautifully about a great many things other than landscape and Being Aussie. Like being a son, a lover or father or a brother, about self-destruction, about growing up, about mystery, and regret … just about being human really, I think. Sometimes I wonder what he must feel about being so corralled into being the ‘Aussie story’ pin-up boy. I would find it depressing if I were him. It appeared to me that what she was saying was, ‘unless they’re wearing kilts, it’s not a Scottish book’. Which is irritating, because for example one of the things I absolutely loved about Andrew O’Hagan’s Be Near Me was that he didn’t feel the need to really mark it as Scottish, though it’s set in a Scots town and I imagine explores lots of stuff about what it means to be a Scot. But it’s about much more universal things than a national identity. So I feel it’s the same with writing about suburban contemporary Australia – on one level obviously it’s very different from suburban London or middle America, but as a writer I don’t really care about those differences – they are there to be found by readers, rather than inserted by me, if you know what I mean. As you can see, I’m completely bewildered by the whole thing. Perhaps some writers do identify as really Australian, I don’t know. It seems to be a question we ask ourselves a lot that other cultures don’t. Do Americans say, ‘am I an American writer?’ They probably talk about regionalism more. If you define Australian as where you live, where you were born, etc, that’s a debate that anyone could have. I think things that are immediately, identifiably Australian often seem to my mind to be completely out-dated and sort of sentimental. I’ve noticed that more in film and television than in books, actually: where the country town is always a dusty, weatherbeaten, corrugated iron kind of place. Whereas, in fact, a contemporary country town doesn’t look like that. That was one interesting thing about The Children, I thought. That you’ve written a country town that looks like the kind of country town you might actually drive through or visit. I really wanted to do that, quite deliberately, to counteract that romanticised sort of patronising of Australian country towns. I think probably some people think that the town I painted in The Children was not particularly affectionate. But I wrote about what I see of country towns, rather than a kind of lost romantic idea of what they are. Australian country towns in film and television so often look to me like they’ve been designed by Surry Hills set designers who’ve never set foot outside the city. They want regional Australia to be attractively backward and old-fashioned, when it’s not that at all. Rural Australians aren’t ‘characters’ or ‘townsfolk’ any more than urban ones are. I have to say, I remember that, and I thought, ‘oh good! Someone’s aiming for something contemporary that – it doesn’t necessarily need to be really urban – but something that’s not nostalgic’. I suppose that call was a reaction against the kind of Australian historical fiction that my husband calls ‘Old Sydney Town books’. I don’t think he has anything against historical fiction per se, but he means those with a wooden, lumpen sort of self-consciousness about their national identity, I think. Yes, I thought that was really interesting because it had never crossed my mind that you could have a negative reaction to that. But of course you could. I wonder if what people are reacting against when they say they don’t like rural writing is that very manufactured and idealised rural Australia. If you read writing that’s coming from the heart, that’s engaging with something real, that’s a bit different. I think that’s true. 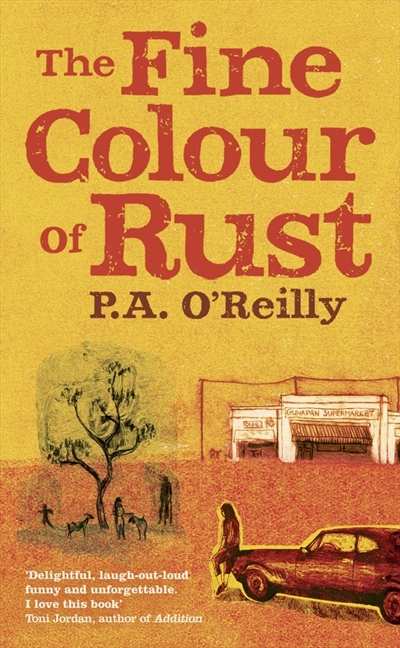 I think of Paddy O’Reilly’s The Fine Colour of Rust – I just loved it, because it is clearly set in a country town, but does surprising things with that terrain. It is gutsy and interesting and real. The rural-ness feels true, not manufactured. I really like what you said about the accent – the idea that Australian writing is more about the subtleties. Is that what you meant? Yes. I hope so. When people have said to me, ‘I love your writing because it’s so Australian’, I do like it. I feel gratified by it, even though I don’t fully understand why. If I’m to take that as a compliment, I would hope that means that I have rendered a place, or the contemporary world that I live in, accurately enough that they recognise something of their world in it. That said, I might be about to shoot myself in the foot because the book I have just started is a much less naturalistic kind of novel, set in Australia but in an imagined remote place in the middle of nowhere. So we’ll see if I end up doing what I have found tiresome in others’ books. I hope not. I think your work is very Australian too, but in that way that I identify with it. It creates a sense of place where I recognise something in it. And I felt that same way about the collection you edited, Brothers and Sisters, which was really diverse. Quite a few people have said that about that collection, that they felt it was very Australian. I was really proud they did say it, because the stories are diverse, but obviously there’s some kind of commonality of voice, or a quality of light, or something. The writers in that collection, part of the reason I respond to their voice is that I find that they are truthful writers. That’s why I asked them to be in it. There’s no try-hard Australianism in there. Yes. Even ‘Trouble’, Tegan Bennett Daylight’s story about young Australians living in London – that’s very Australian. One of the characters questions herself: ‘Do Australians gaze openly around them?’ Do we look naive or something? She’s probably the only writer in the anthology who made some kind of specific reference to being Australian. That’s interesting that she made that reference, but it was made from somewhere else. Exactly. London is where the character’s Australianness was brought into relief. She’d never thought about it before. Maybe this is the time our writers actually think about what it means to be Australian – when they’re away. This is explored in Hazzard’s Transit of Venus, for example, and now in Michelle de Kretser’s wonderful new novel Questions of Travel, which I’ve just begun, the female protagonist feels her Australianness very strongly in London. Do you think it’s useful to frame or categorise writing by national identity when presenting it to readers? I don’t know. I think it might be a disadvantage more than an advantage, but I don’t know. I mean, I certainly seek out Australian writing. But I’m not sure that most readers here do. Why do you seek out Australian writing? I like to see my own world explored in art along with other worlds. It’s not that I only read Australian literature – I certainly don’t. It’s not the majority of my reading, but I certainly don’t avoid it like I suspect some people do. There seems to be some people who do seek it out for the reasons that you say – and others who avoid it for that reason. I don’t seek out a book based on its being Australian; I seek out a book based on whether it might be good. But I do like to see the world that I live in rendered beautifully, and powerfully, and surprisingly and challengingly. I don’t understand the desire to have Australian writing do a particular thing at all. All I care about is whether the characters in the novel and their lives and the writer’s ideas are engaging to me. Join us at the Arts Centre for A Question of Identity, a series of events looking at what it means to be Australian today, and how that translates into the art we produce and promote. The first event, The Australian Moment: What Does it Mean to Be Aussie Right Now?, is next Wednesday 17 October at 5.45pm. Chaired by Phil Kafcaloudes, with comedian Aamer Rahman, playwright Hannie Rayson and Marylou Jelbart, artistic director of fortyfivedownstairs.